This item ships free! Justice League New 52 Box Set Action Figure 7-Pack: • The New 52 action figures! • The most powerful heroes in the DC Universe, together in one box set! • Superman, Batman, Wonder Woman, Green Lantern, The Flash, Aquaman, and Cyborg. • Fictional superheroes trying to save the real world! The Justice League - revamped for a new generation! 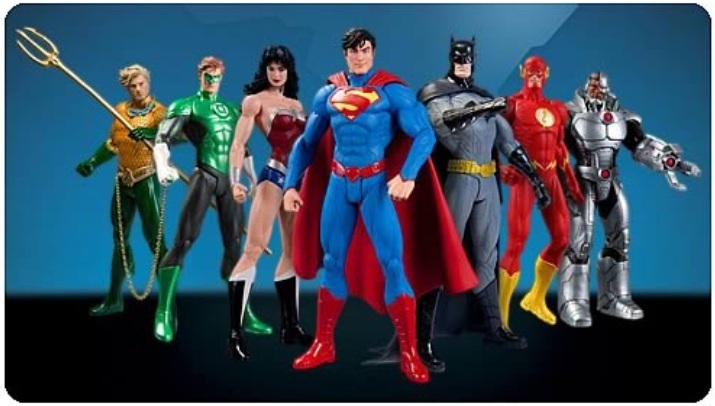 The most powerful heroes in the DC Universe come together in one box set that includes 7 of your favorite The New 52 characters in articulated action figure form. Fictional superheroes Superman, Batman, Wonder Woman, Green Lantern, The Flash, Aquaman, and Cyborg are here to save the world and add their punch to your DC collection!